Blake Burkhart had the opportunity to hang out with Chicago's underground rap mainstays Qwel and Maker on Record Store Day, 2013. 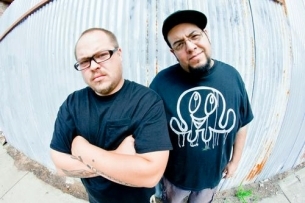 The duo talked about their first records, how hip-hop production has changed over the past decade, and keeping their sound raw on galapagos4. Share August 12, 2013 • http://chrp.at/1q6X • Share on Facebook • Tweet This!